Our Tectorians of the Week are: Every Mini Tectorian that came to Discover Tectoria last week! On February 19th, the Crystal Garden was flooded with job seekers, investors, students and thousands of bright-eyed, awe-struck kids. 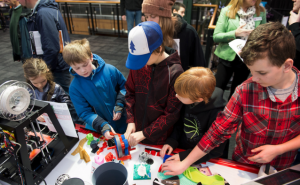 The Island’s biggest tech expo landed on a tri-city Pro-D Day this year which allowed kids and their parents to spend a full day learning and interacting with Greater Victoria’s #1 Sector – Technology. Science Venture conducted science experiments and tech gadget demos which had everyone fully entertained. The Video Game Lounge was also a hit as kids got a glimpse into what a coding job can look like, and how they can work right here in Victoria. We hope this event made an impact on every youth member that made their way through Crystal Garden, and that our tech community can continue to shed a light and inspire our future generation. 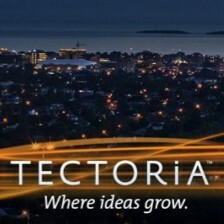 Every media outlet in the City captured Discover Tectoria. Have a look, a read and a listen below! Our Tectorian of the Week is: RecStaff! RecStaff is an online staff scheduling service that works on every device and takes spreadsheets out of your daily routine. The RecStaff team is based right here in Victoria and you can meet them at Discover Tectoria on February 19th in the Startup Alley at Crystal Garden from 11am to 6pm. To learn more about RecStaff and if it’s something that can be applied in your office, visit http://recstaff.com. Our Tectorian of the Week is: Revolution 3D Printers! Revolution 3D Printers (R3DP) is a Canadian manufacturing and R&D company that manufactures 3D printers, with a focus on technologically innovative product development. They provide their customers with a complete 3D printing solution. R3DP is hosting a 3D Printing Workshop TONIGHT from 4pm to 7pm in Sidney. This is a great event to create something special for your significant other, yourself, or simply watch their Infinity 3D printers in action! Click here for details. You can also find them at the upcoming Discover Tectoria tech expo on Feb 19th at the Crystal Garden in the Startup Alley. This event will feature a tech tradeshow, Video Game Lounge, Research District, Science Shows, robots, flying drones and food trucks. Free for students and their parents! Congrats Revolution 3D Printers, keep on making cool stuff!